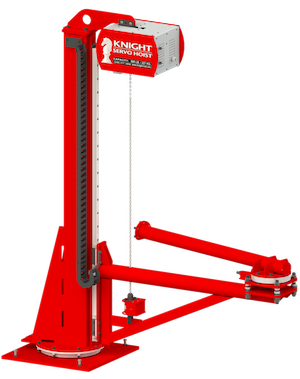 Knight KSHVA Overhead Carriage Mounted and KSHVAA Floor Mounted Vertical Servo Arms are Intelligent Assist Devices (IAD) that enable an operator to reach outside the area directly below a rail system and to precisely locate or float loads in the “Z” direction (vertical axis) with speed and reliability. 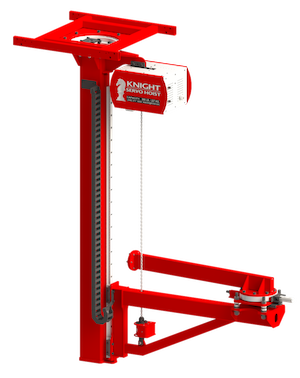 The Vertical Servo Arms allow for a non-linear overhead varied reach within a work cell or station. Product does not come as shown. Overhead carriage sold separately. Contact a Knight representative for more information.